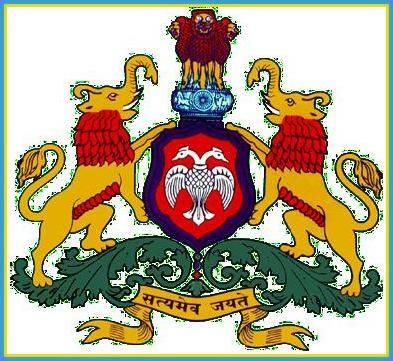 Mode: Karnataka PGCET 2019 admit card is available online on the official website. Identity: The Karnataka PGCET 2019 Admit card is issued as an identity proof for candidates who will be appearing in the Karnataka PGCET 2019 examination. Admit Card Specifications: The Karnataka PGCET 2019 Admit card must be printed on an A4 size paper. There is no need to download the Karnataka PGCET 2019 Admit card if a candidate is applying for the exam on the basis of his/her GATE score. Counselling: The Karnataka PGCET 2019 Admit card is a vital document that has to be mandatorily carried at the time of examination as well as during the Karnataka PGCET 2019 counselling. Preserve: Candidates are advised to preserve a copy of the Admit Card until the entire admission procedure is complete. Proof: Along with the Karnataka PGCET 2019 Admission Ticket (Karnataka PGCET 2019 Admit card) candidate has to carry anyone valid Identity Card like College Identity Card, Bus Pass, Driving License, Passport, Aadhar Card, PAN Card, Voter ID. Step 1: Candidates need to visit the official website. Step 2: Enter Karnataka PGCET 2019 application ID and password. Step 3: Click on “Get Admit Card”. Step 4: Click on Download test admission ticket. Step 5: Save the Karnataka Karnataka PGCET 2019 Admit Card and print the same. Clarity: The printout of the Karnataka PGCET 2019 Admit Card must be clear. Disqualification: Tampering with the Karnataka PGCET 2019 Admit card will not be tolerated. This will lead to cancellation of the Admit Card and candidate will be disqualified. Photograph: The photo stuck on the Karnataka PGCET 2019 Admit card must a clear and recent passport-sized colour photo of the candidate. Plagiarising: Plagiarising of the Admit Card is not tolerated. Eligibility: Eligibility criteria for must be fulfilled for the candidate to be eligible for issue of Admit Card. Suppose a candidate does not bring his/her PGCET admit card. Will he/she be allowed to write the exam? No, the candidates who do not bring their admit card for the PGCET exam are not allowed to write the exam as the admit card is a mandatory document and should be brought for the exam. What are the details printed on the Karnataka PGCET admit card? The Karnataka PGCET admit card will have details such as Candidate's name, exam centre, address and other details. I am unable to download my PGCET 2017 admit card. What do I do? Candidates who have filled the application form and submitted fees for the PGCET exam can download their PGCET 2017 Admit Card from the link. In this case you have to contact the Board. I have printed the admit card on an A3 size paper. Will it be accepted? You need to print the PGCET admit card on an A4 size paper. Suppose the candidate's admit card is not clear or has been tampered. What will be done in this case? The PGCET admit card has to be printed clearly. Tampering with the PGCET Admit card in any form will not be tolerated. This will lead to cancellation of the Admit Card and candidate will be disqualified. What are the mandatory things need to be carried with PGCET Admit card? Along with the PGCET admit card candidate has to carry any one valid Identity Card like College Identity Card, Bus Pass, Driving License, Passport, Aadhar Card, PAN Card, Voter ID. How can I download the admit card PGCET 2017? Know your PGCET application number/registration ID and password. Enter PGCET application ID and password. Click on “Get Admit Card”. Click on Download test admission ticket. Save the Karnataka PGCET 2016 Admit Card / Hall Ticket.